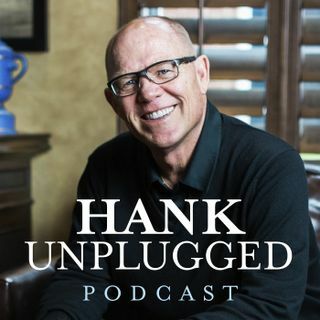 This week, Hank is joined on Hank Unplugged by veteran journalist Mindy Belz, senior editor of WORLD magazine and the author of the book They Say We Are Infidels. Belz is a journalist who has risked her life to go behind enemy lines, and her unique perspective on global issues from an informed, Christian perspective is invaluable to us all. Topics discussed include: Belz's unique role as a female journalist going behind enemy lines in dangerous Islamic countries (2:30); Belz's ... See More perspective on how the Trump administration is handling the inevitable crisis with North Korea (6:00); the courage that the gospel provides us to feel peace in the face of danger (14:00); bias concerning perception of Christian persecution as opposed to Islamic protectionism (18:00); wearing the “noon” symbol used to represent Nazarene as a statement of solidarity with Christians persecuted in the Middle East (25:00); what Belz learned from worshiping with Eastern Christians in Iraq (29:30); when the United States should help police the world and how it would be most effective (34:30); can Sharia law and democracy coexist? (40:00); the vacuum secularism is leaving in the West and how Islam is prepared to fill it (48:00); how increased diversity can revitalize the Christian church (51:30); the gospel as the source of Mindy’s optimism (56:00); the three-pronged fork in the road of apostasy, apathy, and radicalization that Nabeel Qureshi faced as a Muslim and the example he became as he found the power of Christ (59:30).